We're thrilled to announce the winners of the Library Quest competition who each received a $500 gift voucher. 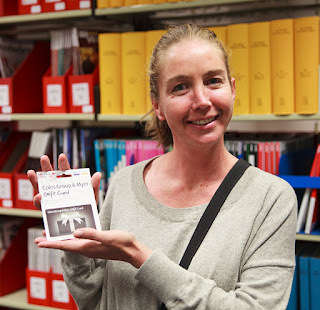 Kate (pictured), a third year Bachelor of Education student and Cameron, a VCE student were the lucky winners. We hope you enjoy spending your vouchers! Thanks to everyone who entered the competition. Even if you didn't win a prize we hope you've learned some great library skills. Although the competition is over you can still play Library Quest and learn how the Library can help you with your studies.